Sikhtourism.com is not associated, affiliated with or sponsored by Punjab Government, Sikh Gurudwara Prabhandak Committee or Punjab Tourism. This website does NOT provide the commercial/charitable services provided by any of them. The Indian Tourism industry is reputedly worth a millions a year. Out of this Punjab especially Amritsar & Sikh Pilgrimage is a highly lucrative market, clamoring for your business's attention. The continued success of the Golden Temple Tours, Punjabi Culture, food, clothes, sightseeing, etc is being translated into unbelievable sums of money being spent on extravagant and opulent tours. In doing so, higher standards are being demanded by the Tourists and they are looking towards an ever growing range of service providers for professional services and quality products. 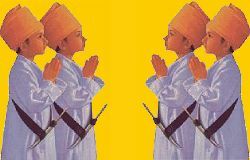 Sikh Tourism is a unique one-stop travel website portal for Sikh Pilgrimage, Gurudwara Yatra and Punjab Tours, providing tours to Golden Temple, Amritsar Tour, Hemkund Sahib, Sikh Pilgrimage, Punjab Gurudwara Tours, Pakistan Gurudwara Tours, India Gurudwara Tours, Punjab Tours, India Tours, India Tour Packages, Taj Mahal Agra Tour Packages, India Travel Packages, India Hotel Packages, India Holiday Packages, India Vacation Packages and booking for Amritsar Hotels, Chandigarh Hotels, Punjab Hotels, Delhi Hotels. With excellent search engine rankings, internet promotion and links to the sites of several prominent travel, hotel, transport and other businesses, the website consistently attracts in excess of 2,75,000 visitors per month. Advertising on our website will enable you to reach a target market of travellers and shoppers who make high-value purchases and are looking for various products and services. Advertising on Sikh Tourism is highly affordable, making it a sensible investment for all businesses with a product or service of interest to this target market. We offer various advertising packages, catering to different budgets.